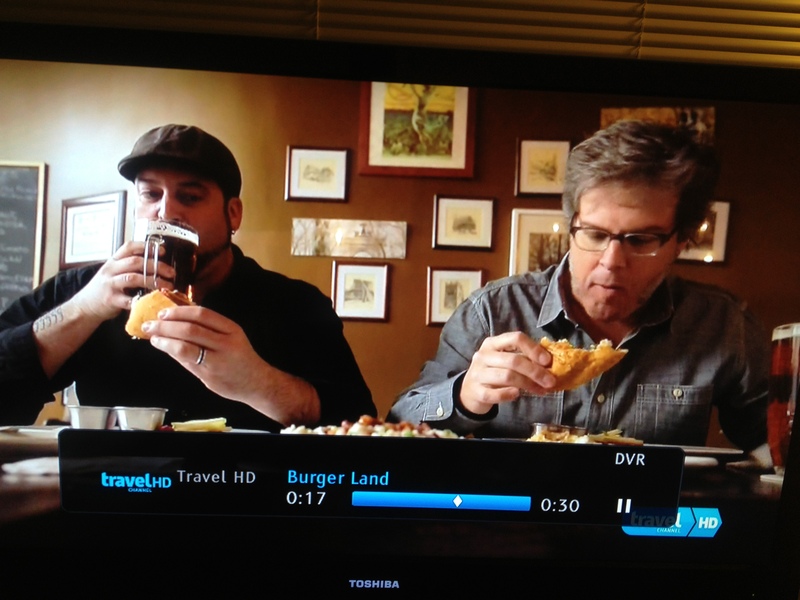 On May 27, 2013 at 9 pm EST I will make my 9th reality television appearance on the Travel Channel’s “Burger Land.” The show is a regional Burger show that’s hosted by the earnest and hungry Burger expert George Motz. 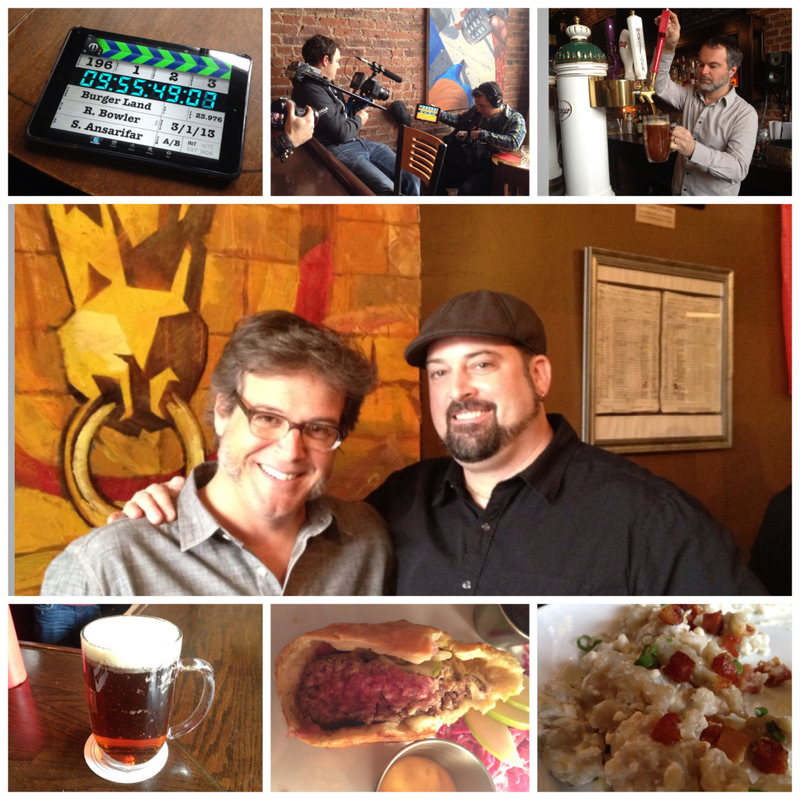 The episode airing on May 27 will feature some of the best Burgers in NYC as well as a guest appearance by yours truly. To celebrate, I’ll be throwing a Burger and Beer viewing party at my very own Idle Hands Bar when the episode re-airs on May 29 at 8:30 pm EST. Join us for a $10 tasting with Weyerbacher Brewery from 7 – 9 pm. 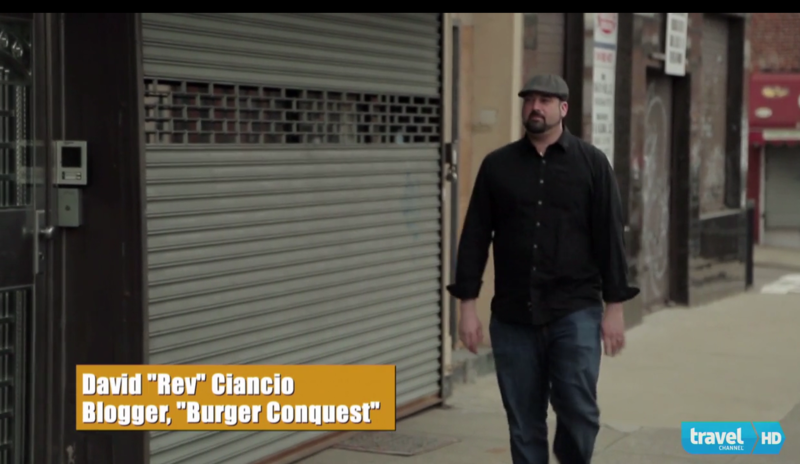 The NYC episode of “Burger Land” will air with sound at 8:30 pm. Enjoy the show and the tasty craft beers along with Burgers by Chef Dennis. The patties are made from a house ground mix of prime chuck, brisket & hang steak trimmings. Here’s a preview of the segment. This entry was posted in Bar, Beer, Burger Famous, Burgers, East Village, Event, Gourmet Burgers, Hamburgers, National Hamburger Month, New York, TV and tagged beer, best burger, burger conquest, burger expert, burger land, cheese, ciancio, craft beer, david, french fries, george motz, hamburger, idle hands bar, korzo haus, nyc, rev, review, tasting, television, travel channel, tv, viewing party, weyerbacher. Bookmark the permalink. That sounds awesome! Will George be making an appearance too?